Kang Su Park of South Korea built quite a good reputation with Silvaweld Electronics. Now he heads up a Korean company, a family-run company called Allnic Audio, where all seven employees are family members. It was my privilege to have a nice long phone interview with Mr. Park. I learned from the conversation that he loves music, tubes, and vinyl. It will also be my privilege to review several of his products, starting with this wonderful little integrated amp. It was obvious from talking with Mr. Park that he insists on top-quality parts even if he has to build his own. These include hand built 41- or 61-stepped silver-contact, constant-impedance attenuators for his preamps and integrated amps. He has also developed patent-pending “Absorb-GEL” tube damper sockets to minimize tube microphonics. He builds his phono cartridges himself one at a time by hand. Mr. Park insists that all of their transformers are wound in-house and exclusively uses permalloy core signal-path transformers. He said all of Allnic’s equipment is assembled by hand. Mr. Park shared that he believes in vacuum tube voltage regulation for superior noise floors of low-level phono circuits. He also believes in using power transformers and rectifying circuits that exceed the specifications for use in a particular circuit. He also spends a lot of time matching proper tube types for the intended application in each component. Mr. Park has a little bit of an uphill battle of attempting to be seen by the audiophile world as an artisan, like those from Japan such as Shindo or Kondo. The recent onslaught of valued-based high-end audio products from China, as good as many are for the money, is not the goal that Mr. Park has set for Allnic Audio. He wants to build the very best. These fine audio products are being brought to North America by David Beetles of Hammertone Audio in Canada. 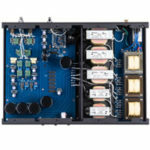 The build quality and looks of the T1500 300B Single-Ended Stereo Integrated Amplifier in no way gives away that this amp is as affordable as it is. I would go so far as to say this little amp looks as impressive any amp I have seen. I especially like the clear, cylinder tube protectors that are also nicely ventilated. Not only are they very attractive aesthetically, but they also keep the tubes protected from little children and pets. The front panel has two attractive amber meters for biasing the tubes. Just to the inside of the left meter is an electronic selector switch, and to the inside of the right meter is the 41-stepped motorized volume control. In the center is a simple but elegant scripted name and model number. Near the front on the right side panel is the ON/OFF switch. The top plate of the amp has the tubes and the clever and elegant tube protectors. There are also five transformers that have nice looking gray covers. There is also a small yellow screw adjusters above each meter. The overall look is a great blend of modern elegance and retro styling. Allnic uses at the grid of the power tubes what they refer to as a powerful “Inductor Drive” circuit. It gives up to 150V swing voltage with very low distortion, enabling the T1500 to have higher than normal output for 300Bs at 12.5 watts. They use a choke inductor made of 100% nickel permalloy PC core. Mr. Park says this gives the amp a very low power-loss and an infinitely high load impedance. The output transformers have a custom ratio mixed nickel permalloy PB core. He says this special core makes it possible to use lower turns of primary winding with still higher ‘open circuit inductance’, to provide a very wide frequency range. I was especially pleased with how the back of this integrated amp was laid out. The layout was clean and not at all crowed. It was easy to cleanly route the speaker cables, interconnects, and power cords. By the way, this little SET amp was designed to be used with a remote control. It has been quite a while since I had the ease of a remote in my reference system. I have to admit I really enjoyed it when the phone rang, but what I really wish someone would invent is a universal remote controlled tonearm lift. As I just mentioned it was easy to hook everything up in the back. Mr. Park prefers a user adjustable bias instead of using an auto bias circuit. If you have never biased tubes, don’t worry, this is as simple a system as I have ever seen. You simply take a jeweler’s screwdriver and turn the small yellow screw adjuster to the meter below. Stop when you reach the middle of the area that is clearly marked. I repeat: With the meters on the front panel and the small screws you turn for the adjustment right above the meters, this makes for the simplest way to bias tubes as I have ever used. I connected the T1500 to the Teresonic Ingenium Silvers speakers with Teresonic’s own Clarion speaker cable. 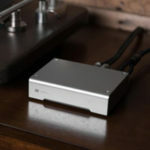 I tried four different phono preamps with the integrated amp, namely the little Allnic H1200, their reference H3000, the Electrocompaniet phono stage, and the phono section of my Shindo Masseto. I also use several different cartridges including Allnic’s own Verito MC, my Miyabi/Standard, and my Benz Ebony TR. Well how did it sound? Simply put, better than any other 300B amp I have heard under $7,000. I have to admit my expectations were quite high because of all the talk I had heard about Allnic products. There was another side of me that wondered what you could expect from a flashy looking, remote controlled $5,700 integrated 300B amp that only uses four tubes? Adding to this, I routinely listen to a $29,000 Wavac EC300B and $11,000 Shindo Masseto preamp, and you can see why I had a few concerns about how much I would like it. The T1500 is among the top 300B amps I have heard in retrieving and portraying detail. I never noticed any loss of detail and that great detail and information just comes alive with this amp. It’s like someone turned on the lights and you can see more of what is going on. The music flows very naturally in the midrange. I’m using the word “detail” to talk about how much information it conveys. This ability to produce detail that is so easy to hear also allows it to be one of the best imaging 300B amps on the market; more on that later. The sound of the T1500 is very easy and fun to listen to. It never sounds like it’s trying to impress and it never seems too strained. Yet it is not overly warm or syrupy smooth. It is also an incredibly dynamic amp; but it can play soft, whispering, and gentle music when it’s called for. Not only is the T1500 dynamic, it has superb micro-dynamics as well. It plays very beautifully at low volumes, and it has good scale, and beautiful bloom in the midrange, although in absolute terms, it doesn’t have the scale or the bloom of the $29k Wavac. 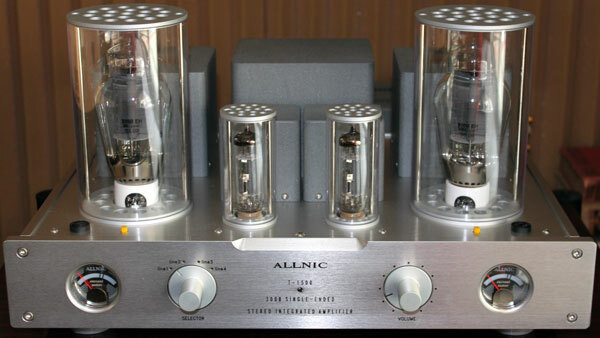 These are the glory of the Allnic T1500 integrated amp. It simply lights up the music. It’s as if you can see it more clearly than with other amps. Compared to other amps even my beloved Wavac EC300B, the Allnic made it sounded like someone came along and hit a light switch and now I can hear everything clearer than before. Voices, strings, and horns all sounded so clear and allowed me to hear more air and nuances than I knew were there. This made the music sound so fast and so exciting. One of the main reasons for owning a 300B SET amp is the scary-real way the best of them produce voices. When I installed my Western Electric 300Bs in the T1500, it did female voices superbly, while male vocals revealed the $5,700 Allnic as not quite up to the standard set by the $40,000 Wavac/Shindo combination. In the midrange, the micro-dynamics were very impressive. The midrange was very quick and lively, it is simply impressive. I have to admit that sometimes it seemed a little quicker and clearer than live music, but is that even possible? I don’t know, but one thing is for sure: this is an amp that in the midrange and top-end sparkles with life. This is the area where this amp out performs SET amps I have heard for under $9,000. The stage is not only extremely wide and deep, but incredibly three-dimensional. The imaging is pinpoint, yet very palpable. This is the kind of soundstage that most audiophiles dream of. Still, to expect the T1500 to have the kind of scale and weight of the Shindo/Wavac combo is unrealistic. When opportunity permits, we’ll see what the T1500’s big brothers can do. It’s in the bass that the sound of the T1500 is most dependent on which phono section and which speakers you use. It’s not that it sounds like an inexpensive 300B amp in the bass, but neither does it sound like a Wavac or Shindo. Of course, it costs one-sixth of these. Still, it has very musical bass, although it’s not quite as world-class as its own midrange. Neither the bass nor the lower midrange will ever bother you by being overblown or slow. It’s just tends to being a little lean, so be careful with what you match it with. I had always rather have lean bass than overblown bass myself. The Allnic T1500 is an outstanding bargain. 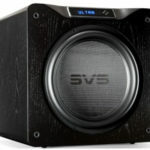 It’s more than a power amp with a volume control, it has a complete linestage and the icing on the cake: it has a remote. This is a beautiful looking and sounding amp. There’s no doubt it’s a lot more amp than you would think from the price. It would be nice (helpful) to know the sensitivity of his Teresonic loudspeakers. 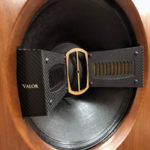 Too, is this amp made for headphone use or loudspeaker use?